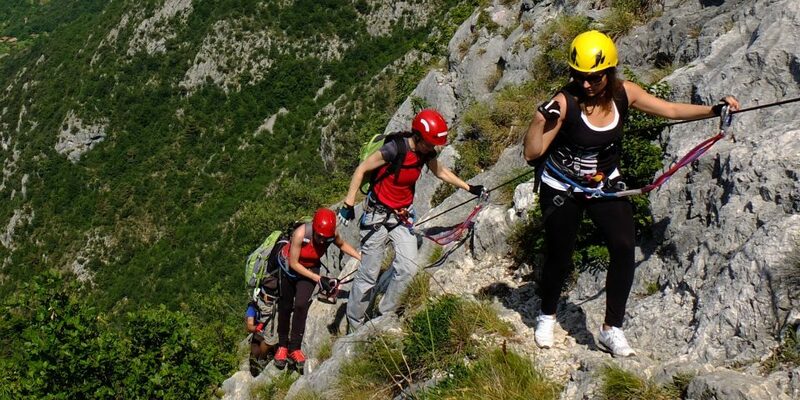 A “via ferrata” is a mountain route equipped with iron cables, chains, ladders and bridges which makes it easier to overcome the mountaineering difficulties. 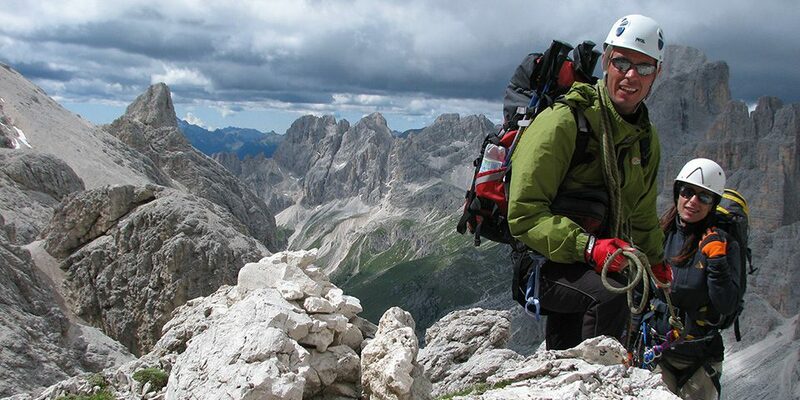 In a few cases such aid makes it possible to cover rocky terrain or an exposed route – of varying difficulties – making it approachable even for inexpert climbers. It differs from a classical climbing route which on average is a lot more vertical, not equipped and therefore a lot more difficult. 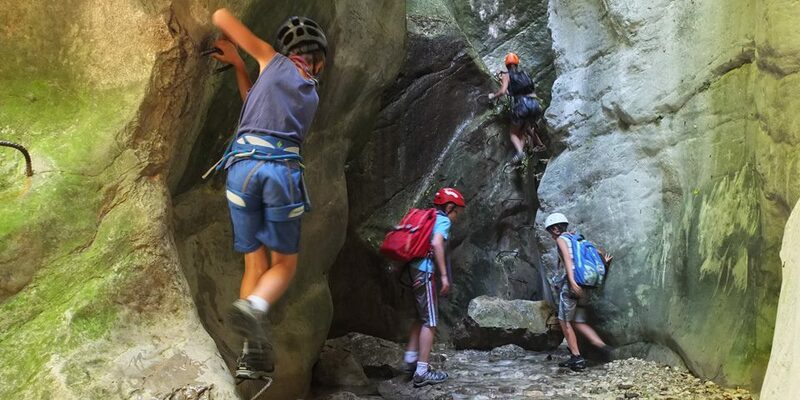 This pleasant “via ferrata” winds along the canyon that borders the rock on which stand the ruins of Drena castle. The peaks of Mesola and Mesolina are of great historical interest, and were strategically important in the Tyrol during WW1. 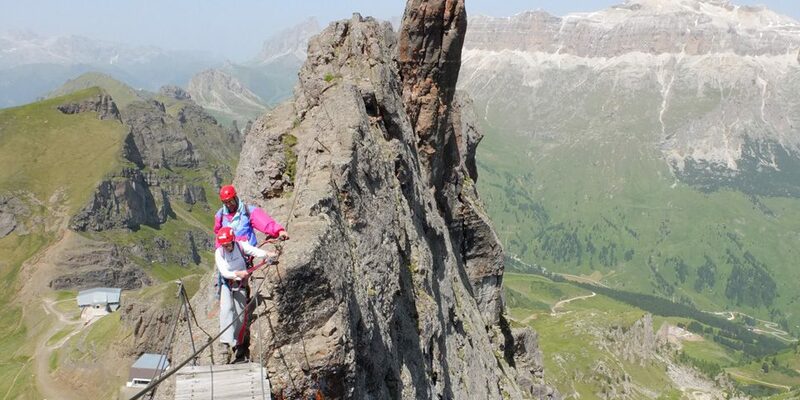 This ‘via ferrata’ is suitable for those who have already practiced some climbing. 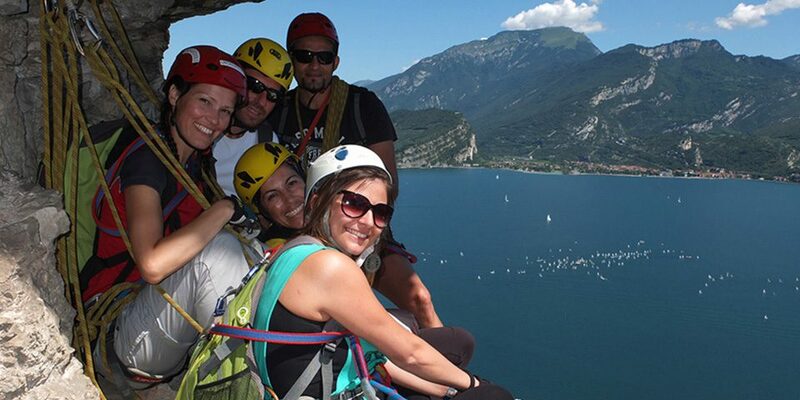 Via ‘ferrata’ for beginners, children or families. 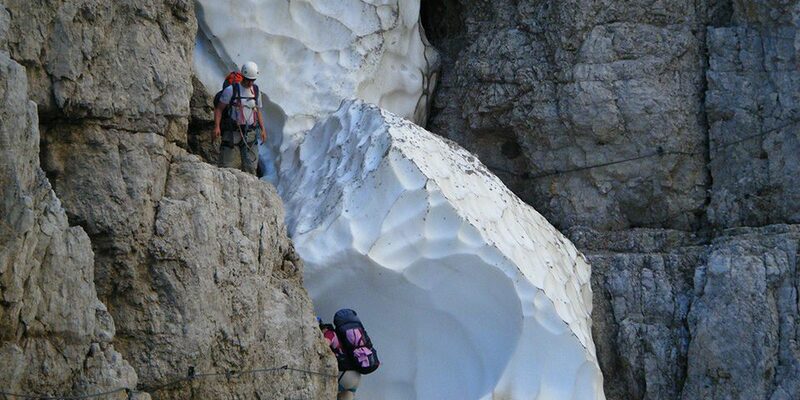 The Bocchette route takes the excursionist along a marvellous traverse. 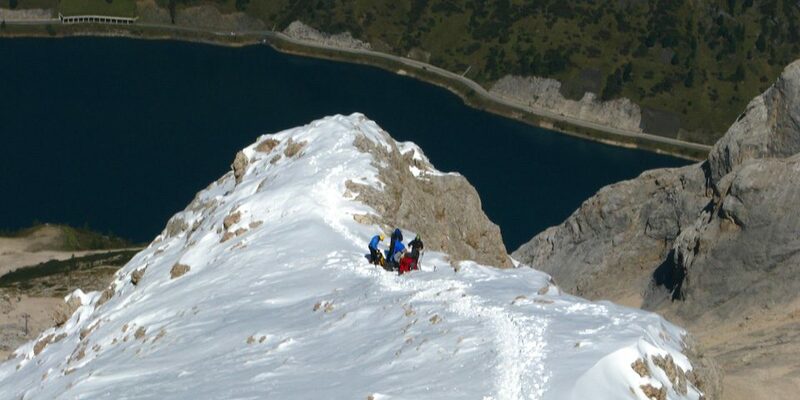 By climbing up Marmolada,Punta Penia 3343m, you will be able to approach the world of high altitude. 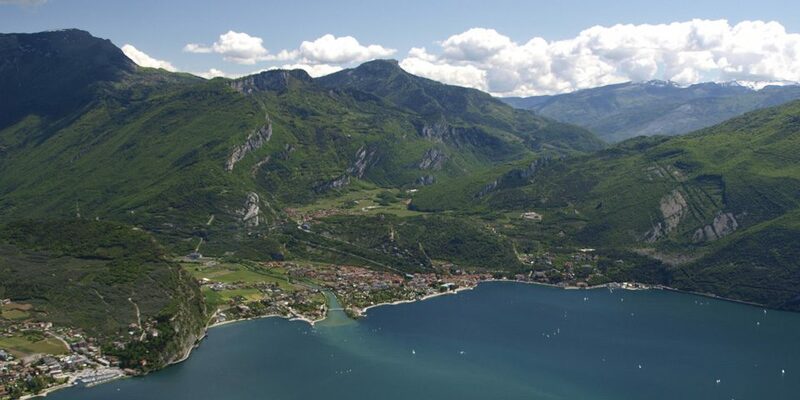 The Contrabbandieri hiking trail will offer you a superb climbing experience and a marvelous view of Garda Lake. 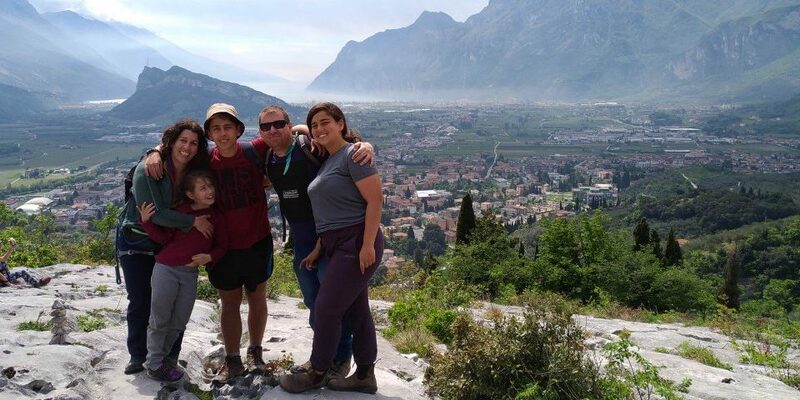 This ‘ferrata’ is highly recommended for adventurous families, both for the amazing views over Lake Garda and its easy and fun approach to the vertical world. This is considered the longest, most tiring and difficult of the Dolmites. One of the most fascinating legends of the Dolomites narrates why these mountains become pink at sunset.